Wellness for the World: Diabetes Got You Down? If you have been recently diagnose as a type II diabetic, have been living with type II diabetes for some time or if you are concerned of living with this genetic expression, today's article is for you. There are 25.8 million Americans diagnosed with type II diabetes while it grows substantially every day and understand that you do not have to be next. Heck, even if you are already in the stats, you can even find your way out of the stat book. First of all let's look at a typical definition of type II diabetes. 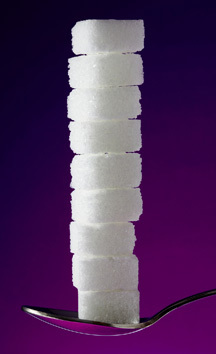 "Type 2 diabetes is a lifelong (chronic) disease in which there are high levels of sugar (glucose) in the blood. Type 2 diabetes is the most common form of diabetes." Notice that this mentions this being a "lifelong" disease. Let me start by sharing that this is absolutely not true in many cases. If you only follow recommendations within conventional medicine this may be true, but not so if you address this properly within holistic care. From a conventional medicine perspective type II diabetes is generally treated with a combination of pharmaceutical drugs and dietary recommendations. While this at best keeps your blood sugar under control, this has been proven to not be the answer in alleviating type II diabetes. When I mention alleviating type II diabetes I am talking about a drug free, happy and optimally healthy life. Yes, you can have this even after the dreaded diagnosis. Often from a holistic perspective you will have many telling you that it is simple, just stop eating so much and exercise. While that may sound easy for the person giving the directions, it is often not that easy for the person receiving these directions. If you are overweight and under energized it can be very challenging to find the motivation to change the whole diet and exercise component. Beyond that thought, let's recognize that there are so many other factors tied into type II diabetes that are often over looked. After food it is not as easy as saying to simply exercise. Some exercise may actually hinder a type II diabetics progress while some exercise will be a huge benefit. What would provide the answer for types of exercise would also provide deeper answers in regard to type II diabetes itself. This would be tied into adrenal function. Did you know that the pancreas and adrenals glands have a very intimate relationship and when one is off, this creates challenges with both? I have never seen a type II diabetic that did not have a significant adrenal issue that is also a part of the challenge. Very often there is a significant challenge with the gut, brain, immune connection that is likely overlooked and chronic inflammatory states and type II diabetes truly go hand in hand. So you can see that type II diabetes answer does not lie in drug use and it is not as simple as eat less and exercise more. There is a comprehensive protocol that can be used in a step by step manner to provide the health and happiness that you may be looking for. If you have been diagnosed as type II diabetic, visit this link, to assess you likelihood of a gluten intolerance, adrenal insufficiency as well as your Nutritional ID. These are complimentary assessments that will provide some baseline guides for you. If you are interested, you can also register for a complimentary webinar on Tuesday 5/29, where we will address the step by step protocols used by so many past type II diabetics in my clinic. The key word here is past. If you have any comments or questions in regard to this article, feel free to post this below for me to answer personally. Thank you for sharing Jaelin. Hearing this from multiple sources is so important for so many.